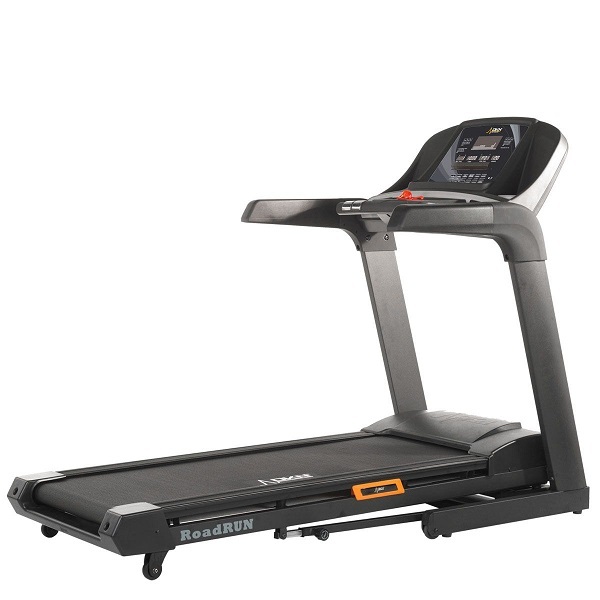 NordicTrack Commercial 2950 Treadmill Review & Best Deal. 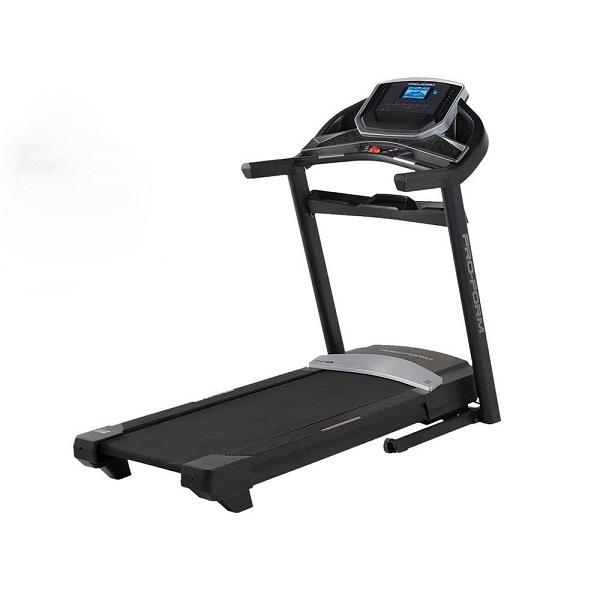 NordicTrack is the premium brand of the world’s largest home fitness equipment manufacturer and over the past few years, has been working extremely hard to establish itself in the premium category. The new 2950 model represents their latest attempt at taking the crown of the ultimate home treadmill. So, we were keen to find out how it fares! Naming confusion aside, the first step is the assembly. This is a big and heavy machine (over 140kg) so assembly is definitely a two person job. The instruction manual is quite clear with written explanations of each step in addition to the diagrams. All in all, for those comfortable with putting together Ikea furniture, this machine would take about 90 minutes to put together. Alternatively, given its size, weight and dimensions, we’d recommend opting for an assembly service if one is on offer! Clearly, the console is one of the major stand-out features of the new 2950, but the first thing we wanted to establish is what the actual machine was like as a running machine. After all, the fanciest of electronics driving a mechanically poor treadmill wouldn’t make for a good running machine. Our first observation was that the deck is seriously spacious. 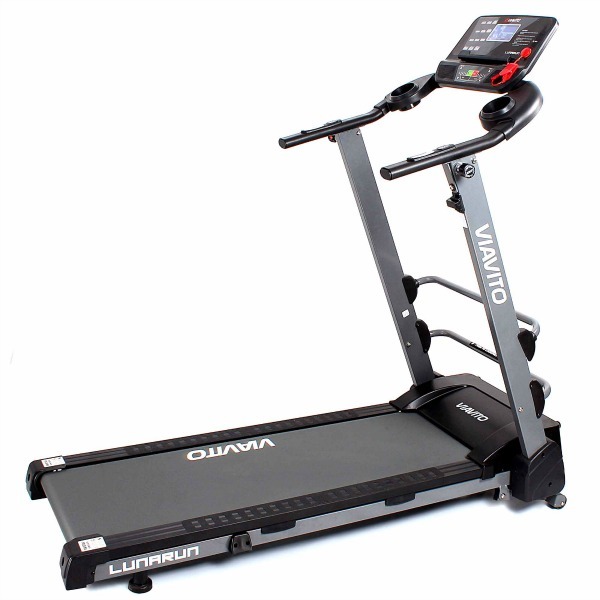 At 55cm (22″) wide, it’s the widest we’ve seen on a home treadmill and the length is over 1.5m (60″) so it’s long enough for even the tallest of runners to sprint at top speed without worrying about reaching the back of the deck. Another good sign that this is a very high spec machine that’s been built to last is that the rollers are pretty large (2.5″). This increases contact area surface with the belt and it means the belt doesn’t need to be extra tight to avoid slippage and as importantly, the motor can run at a lower RPM for a given speed. 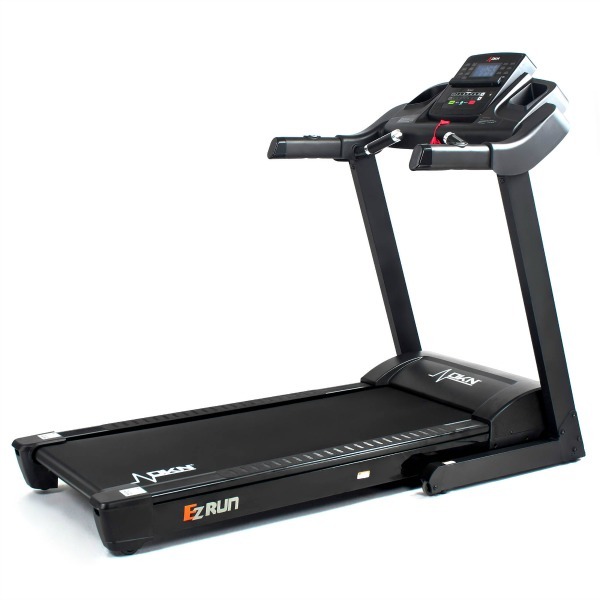 This makes the treadmill quieter to run, generate less heat and reduce stress on components and should result in the machine working trouble free for longer. Running on the 2950 is a pleasurable experience. The deck feels responsive and we really like the adjustable cushioning: NordicTrack recognise that different people have different weights, fitness levels and varying needs for the level of cushioning that would be best suited for them from a treadmill deck and have incorporated a means of adjusting the stiffness of the deck by turning a handle on the side of the running deck. We can confirm that there is a clear and noticeable difference between the two ends of the settings on this. As you’d expect on a machine of this price point, the motor makes light work of running the belt all the way to a very fast 22kph (over 13.5 mph!) and the powered incline provides a a true 15% incline level at its maximum – something that’ll seriously appeal to those aiming for weight loss, rather than just indoor running as jogging at a high incline burns a lot of calories in comparison to running on a flat surface. The surprise came from the fact that there’s also a decline feature – only a slight one, but it does give the feeling of running downhill. So, the 2950 ticks all the boxes in respect of providing a great platform as a running machine and now our focus has to shift to the most visually striking element of this machine: That console! Over the past year, we’ve seen an increasing number of machines incorporating TFT touchscreens into their consoles. All of them that we’ve had a play with previously are basically an Android tablet that have a couple of apps used to control the treadmill and then provide the standard apps that you’d get on a tablet such as YouTube, a web browser or social media apps. On the surface, the approach adopted by others incorporating a tablet seems like a good one, but the execution is almost always badly flawed as you end up with the worst of all worlds: no comprehensive interface that is actually polished and good at being a treadmill console and a low performance tablet to run other apps. 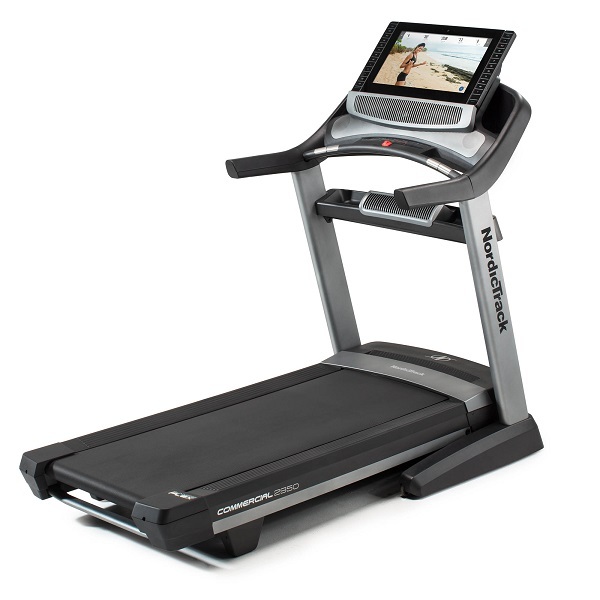 After all, many treadmills do have a tablet holder and if someone really wants to watch a NetFlix film whilst using their treadmill, wouldn’t it be easier and far more secure to use an existing tablet that putting in all your credentials into an inbuilt tablet on a treadmill (which may or may not have correct and latest security patches installed / updated!). 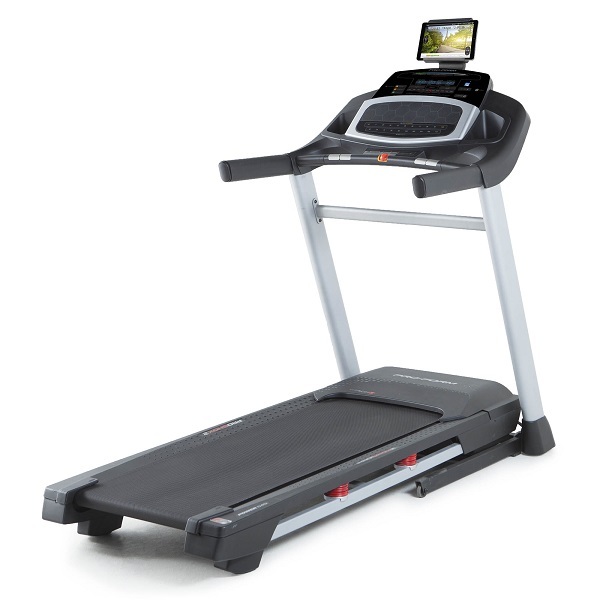 The approach that NordicTrack have taken is completely different and a commendable one: Whilst the underlying technology behind the console of the 2950 is likely to be based on an Android tablet to achieve cost benefits, it is a proper embedded system: It focuses on one thing and it does it incredibly well: being a console for the treadmill! It’s clear that NordicTrack have made a huge investment in the software behind this console, which takes their existing iFit technology to the next level. To get started, the machine needs to be connected to a WiFi network. It should be noted that whilst the 2950 does function and still provide far more than most treadmills out of the box, to get the most out it, we’d recommend signing up for an iFit account which is a paid subscription (under £100 a year). One of the major surprises of the 2950 is that the traditional preset programmes have been totally scrapped and replaced with video workouts! These video workouts transform the the ‘chore’ of working through a preset programme as part of one’s training to something that’s genuinely fun and motivating! We’d love to see some video workouts being added in the future that feature British personal trainers as we found the American accents a bit much on occasion. NordicTrack are really breaking new ground in treadmill technology with the 2950 – the giant touchscreen display is responsive, packed full of motivating features and is actually pretty intuitive to use. With the video workouts, a whole new dimension has been introduced and this builds on top of all the great features of iFit. With its clean interface, unparalleled levels of interactivity, personalisation and feedback, NordicTrack have achieved something that eludes most treadmill manufacturers: adding enough value to the console to provide genuine motivation! Is it perfect without any glitches? Well no, but we think most people can live with the odd glitch (for example, the very occasional software updates don’t take place overnight and can keep you waiting when you just want to use the machine) in return for the stunning experience! The levels of attention to detail are high on the 2950. For example, the screen can be tilted slightly to handle users of different heights and the built in fans actually do provide a a noticeable level of cooling. The warranty on the machine is NordicTrack’s standard lifetime frame, 10 years motor and 2 years for all other parts and labour – remember to register the machine to get the 2nd year! We love the 2950! 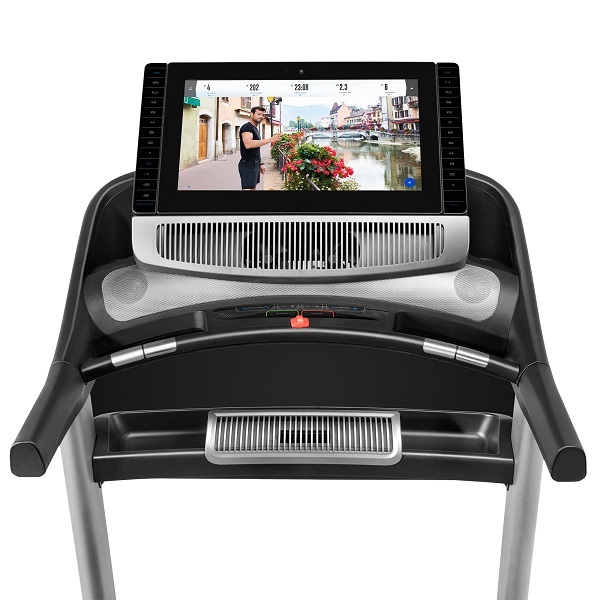 With this machine, NordicTrack have delivered something very special: It’s a better, more engaging and more motivating experience than the machines you’d find in gyms – this isn’t something that happens often on a home treadmill! 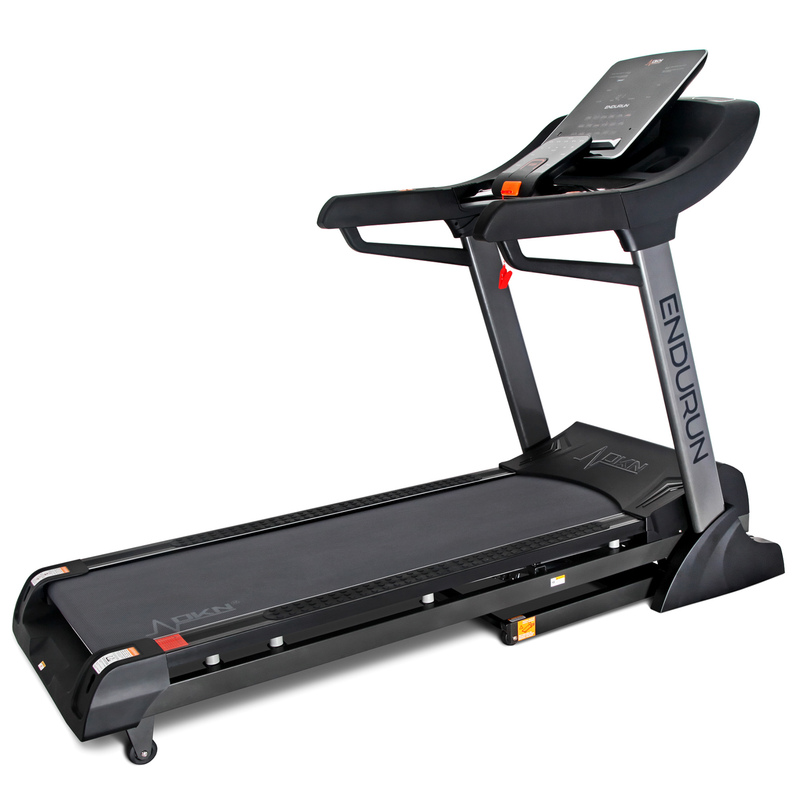 To get the NordicTrack Commercial 2950 Treadmill for only £2124.15, enter voucher code NTC on the Sweatband.com basket page! 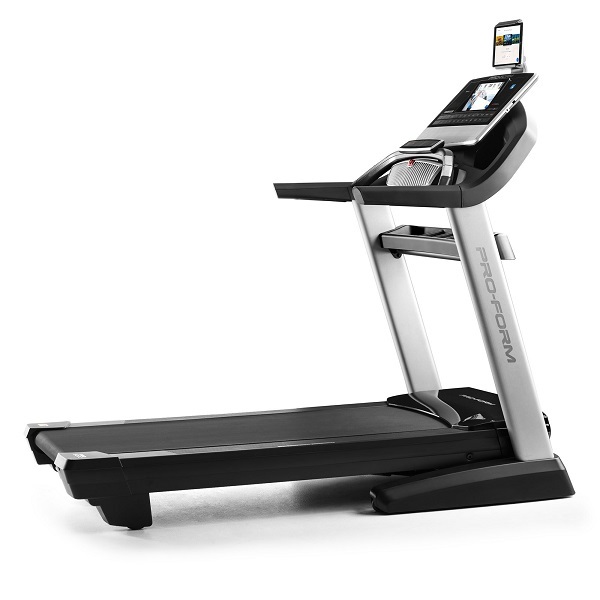 The NordicTrack 2950 ticks all the boxes for exactly what a premium treadmill should be: A combination of superior specifications, innovation to motivate and attention to detail to ensure that the machine adapts to the needs of different potential users with differing goals. Whether you're training for a marathon, or wishing to shed a few pounds, the 2950 will make your exercise safer and more enjoyable. If you've got the budget for it, we'd highly recommend it! Fan that actually provides cooling!